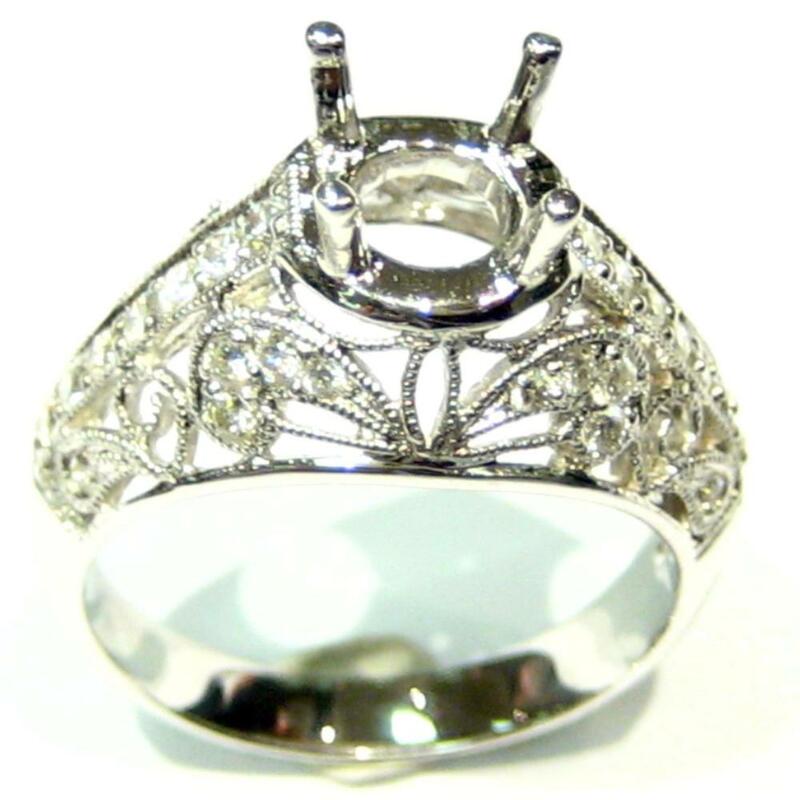 This Antique diamond engagement ring semi mount has round brilliant diamond side stones. The total carat weight is 0.53ctw. It is in stock in 18k white gold but can be made for you in 14 or 18k white gold, yellow gold, rose gold or platinum. This ring is set up for a 1ct round centerstone. Every engagement ring we manufacture is completely customizeable. 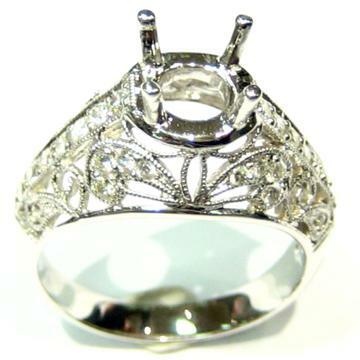 Most heads can be easily swithed out to accomodate any size and shape centerstone you wish but this one will require remaking the whole ring to the desried specifications. There will be a custom charge below for any other size or shape than 0.90-1.19ct round.